Just as endings are an unavoidable part of everyday life, they are found in every corner of the therapy relationship. While they can be a routine and unproblematic part of our work, they can also be powerful, poignant and problematic – for both client and therapist – particularly when longer-term relational work is involved. Such endings require delicate timing and layered negotiation. The challenges of separation and loss that come with endings can lead us to avoid, resist and deflect from the experience. But if we (client and therapist alike) can enter that space and embrace it, we will then be more open to new beginnings and the possibility of healing. Endings can be mutual, forced or unilateral. Whichever version, we need to try to engage the ending process over time to give our clients (and ourselves) time to work through issues. Part of this process includes trying to prepare for life-without-therapy (e.g. by shifting the focus of the work from clients’ inner worlds towards their life world of work/relationships). Then, ideally, we aim to review the situation jointly while respecting the client’s decisions and trying to leave the client richer for their therapy experience. Mutual endings – Mutual decisions to end may be pre-built into the therapy contract (e.g. agreeing to meet for 6 sessions of brief therapy) or it emerges organically over time in long-term therapy. Forced endings – Forced endings occur when the decision is taken out of both the therapist’s and client’s hands due to illness/health issues, financial stress, moves to other locations, loss of funding or organizational changes. In these cases careful discussion is needed to determine if and how therapy might continue; perhaps with a different contract or by using social media like Skype. If the client would benefit from seeing another therapist, options could be discussed. Unilateral endings – Sometimes clients just stop coming. Maybe they intended to come back but as time passed they didn’t feel the need. Maybe the client wasn’t finding therapy helpful or maybe they are simply not ready for it. Whatever the motives, abrupt endings leave both client and therapist to do the ‘ending work’ by themselves to handle residual feelings of regret, loss, disappointment, resentment, shame and rejection. As relational therapists, we recognise that a client may be recreating a typical life pattern of avoidance or a borderline pushing-away process. So it might it be important for us to challenge the behaviour and/or do some chasing. Then we need to ‘let go’ in as respectful, clear way as possible. Clients and therapists both confront the challenges of separation and any resulting grief involved in ending – not least because the horizon of past losses/grief can be evoked. As part of working through the process relationally, it can help to engage an explicit and mutual exploration around loss and hope, needs and resources, emptiness and satisfaction, autonomy and dependence, regrets and appreciation etc. 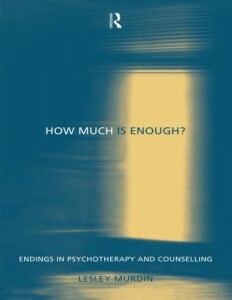 Van Deurzen and Adams (2011) go as far as saying at least one sixth of therapy time should be spent considering endings. This gives time to begin to work through any lurking grief and loss towards eventually ‘letting go’ in (hopefully) a healthy way. This working through requires working with denial/acceptance, feelings like anger, anxiety, depression and maybe attempts to bargain (e.g. “can’t we just see each other as friends?”). Beyond specifically having a ‘working through the ending’ phase of therapy, Moursund and Erskine (2004) recognize how ‘little endings’ within each session can be helpful rehearsal. Sometimes clients struggle with ending sessions (as shown when they seek to end sessions abruptly or try to extend the time). We need to be aware of these processes as therapy shouldn’t repeat clients’ (and our own) experiences of unsatisfactory endings. A key ending process we need to engage is to review and evaluate the therapy. This can be done at a formal/structured level using feedback forms and evaluation tools (see attached handout). A particular ending ritual worth considering further is gift-giving. Sometimes clients want to express their gratitude and mark the end of therapy through giving a gift to their therapist. Rules about whether or not gift-giving is accepted/acceptable depends on the institutional, cultural and relational context and the contract. The value and motivation for the gift-giving also needs to be taken into account. Part of our role as therapists is to help clients face the pain of the goodbye as part of embracing life… And then we are obliged to let go with grace. When clients celebrate their growth, and take the good experience (of both the therapy and the ending) into the rest of their lives we are both given a gift. This celebration of the therapy can also be part of our own healing too. 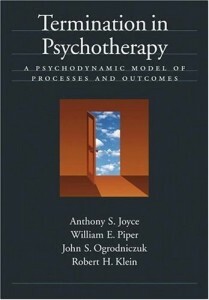 See Joyce, A. S., Piper, W. E., Ogrodniczuk, J. S. and Klein, R. H. (2007). Termination in Psychotherapy: A Psychodynamic Model of Processes and Outcomes. Washington DC: American Psychological Association, for an in-depth examination of clinical, theoretical, and empirical literature about ending psychotheraputic practice. Murdin’s book – Murdin, L. (2000). How much is Enough? 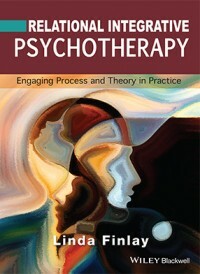 : Endings in Psychotherapy and Counselling. London: Routledge – offers a readable psychoanalytic take. A comprehensive, integrative account is offered in chapter 11 on ‘Termination’ by Moursund, J.P. and Erskine, R.G. (2004). Integrative Psychotherapy: the Art and Science of Relationship. Victoria, Australia: Thomson/Brooks Cole. DeYoung’s final chapter on ‘Ending and going on’ evokes the grief involved when ending depth relational work – see: DeYoung, P. A.(2003). 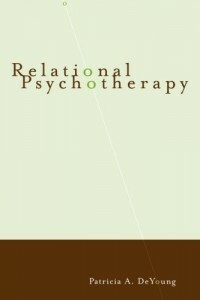 Relational Psychotherapy: A Primer. New York: Brunner-Routledge.